My Rainbow Kitchen | The Decor Cafe | Interiors. Gardens. Lifestyle. Home business. My Rainbow Kitchen is a cooking school for children and adults founded and run by Sayjel Patel. Sayjel is a Leith’s trained chef and Qualified Dietitian (BSc Nutrition/Biology) and is passionate about teaching adults and children how to cook. She teaches both within schools and in her new colourful teaching kitchen at home. Her love for colour translates in her cooking and she likes to use an abundance of colourful fruit and vegetables which are seasonal and local. She grows her own produce in her garden and uses it in her teaching to create healthy and seasonal dishes. Sayjel loves to teach and share her passion for cooking delicious, healthy food. Her gentle, nurturing manner is pefect for children and adults alike and inspires great results. Sayjel’s dedicated classes for children are taught in a fun, educational way using experiments and activities based around ingredients, food and eating. Her adult classes are focused on attaining specific skills to produce a variety of dishes ranging from the more traditional to contemporary dishes influenced from around the world. She runs specific courses such as Vegan & Plant Based Cooking, Sprouting & Fermenting foods for Health, The Art of Sourdough, Pastry Masterclass & Catering for Dinner parties. She is also available for 1-1 private lessons. 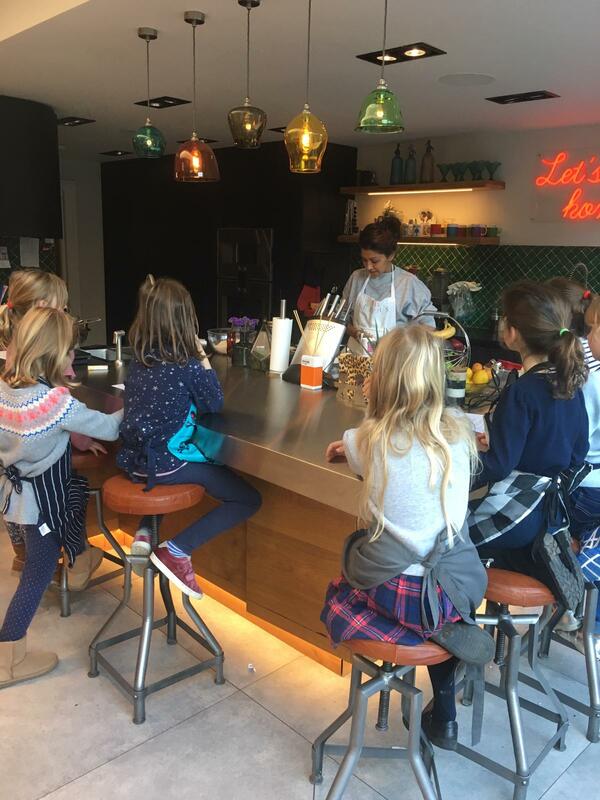 Over the past few years My Rainbow Kitchen has also catered for small events such as Book Clubs and Birthday parties for up to 50 people. She regularly bakes for busy mums who want to give their children Healthy Homemade Treats. Sayjel Patel graduated as a State Registered Dietitian in 1992 after completing her Honours degree in Nutrition with Biology. In 2001 she attended Leith’s School of Food & Wine and achieved a Diploma. She went on to cater for small events in Central London including private views for art galleries & business lunches for small businesses. She now combines both areas of expertise and enjoys teaching adults and children on Food & Nutrition. In her spare time Sayjel loves to run, swim & practice yoga with complements her healthy lifestyle teaching perfectly. Sayjel catered for my Book Club recently. I wanted a simple & tasty buffet for my guests and Sayjel delivered all food freshly cooked that day. All the dishes were colourful and full of flavour. Each dish was clearly labelled and she even provided appropriate serving ware. One of my guests was so impressed , Sayjel went on to cater for her 50th Birthday Party which I hear was also a great success. 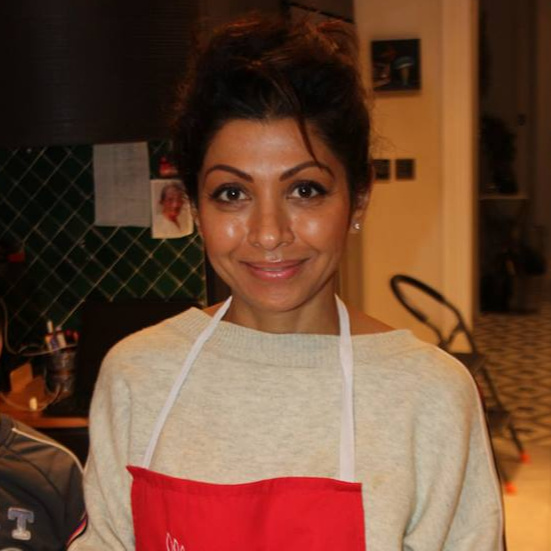 I cant wait to try one of Sayjel’s healthy cookery classes soon! Thanks Penny! it was a pleasure catering for you & your book club! Sayjel creates a stimulating, engaging, and creative environment for children of all ages. I am thrilled that both my boys were able to come away from her cookery classes/workshops not only educated about food and nutrition but eager to start producing delicious food back at home. As my boys were fortunate to experience some of Sayjel’s cookery classes at a young age, it has given them the confidence and inspiration to cook and experiment with food as they have grown older resulting in some very impressive dishes for all the family to sample! I highly recommend her children’s cookery classes! Thanks Sally. Both Sam and Oliie are an absolute pleasure to teach! Its so good to see boys take an active interest in cooking & healthy eating. A true investment for their future health and wellbeing! Sayjel at my rainbow kitchen is a talented chef who has advised and catered for my specialist diet on many occasions. I have several food intolerances and her dietary knowledge is invaluable in ensuring I follow my diet adequately. Not only does she teach cooking classes and also caters for special occasions, she is very professional and has a friendly and caring manner about her. Thanks Sayjel for all your help! Thanks so much Jeremy. Following a restricted diet can sometimes be tricky so glad I could be of help! 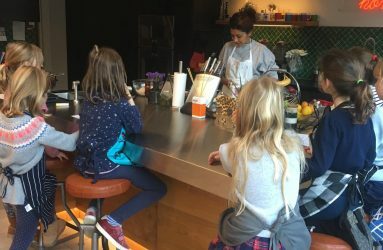 Sayjel’s cookery classes for kids are exceptional and the classes offered so much more than I was expecting from a cookery class for young children. 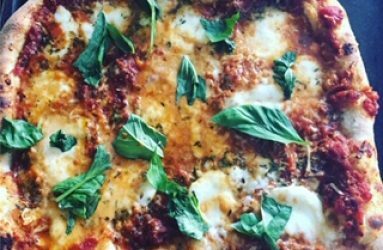 for My son walked away with an incredible amount of knowledge about food, nutrition, technique and taste. The recipes were diverse and didn’t shy away from introducing the children to cooking with a variety of ingredients. Even simple recipes such as garlic bread had unusual ingredients that added a whole other dimension to the final result. 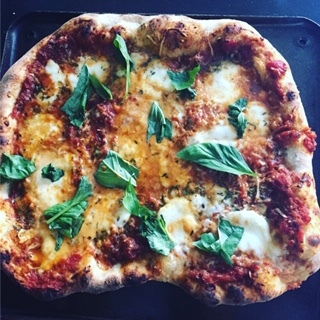 In fact, the food created was SO delicious, I had to fight my son for the food that came home from the classes every week!! I have signed my son up to the holiday courses along with friends who didn’t know Sayjel – the kids had a great time and parents and children ended up as enthusiastic as we are!